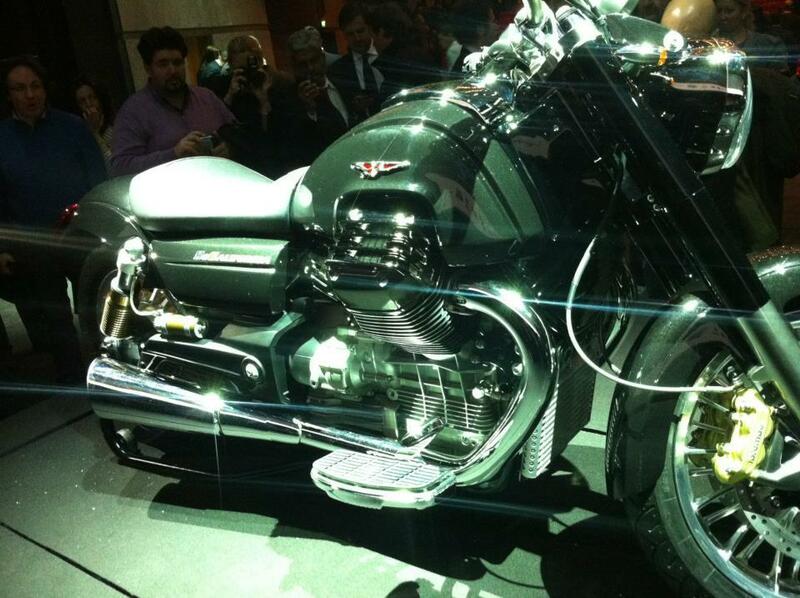 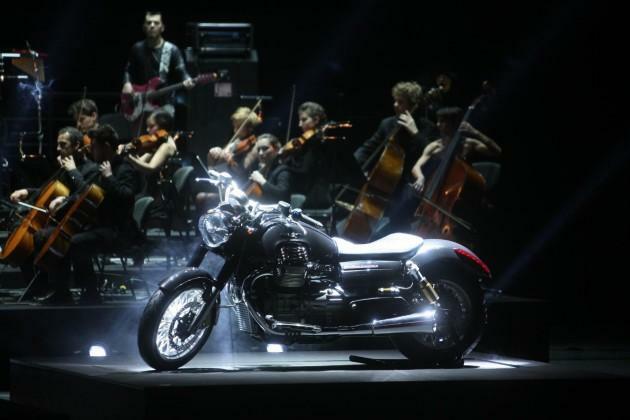 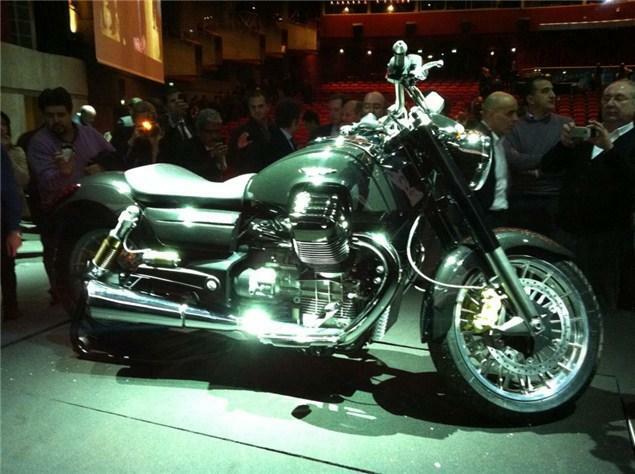 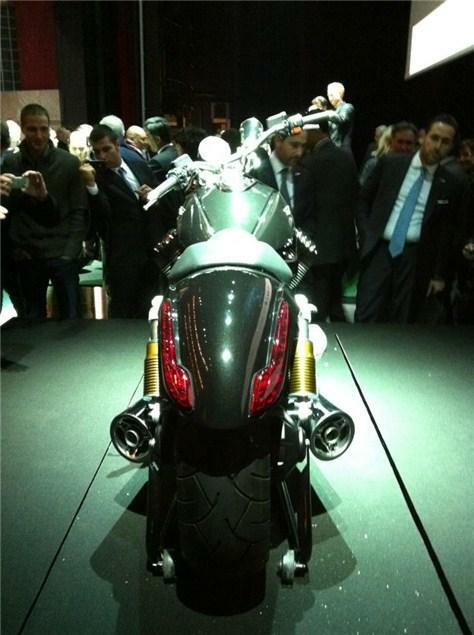 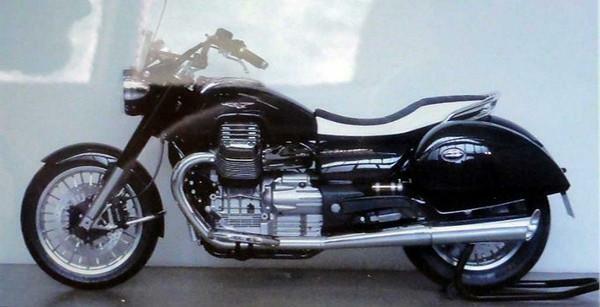 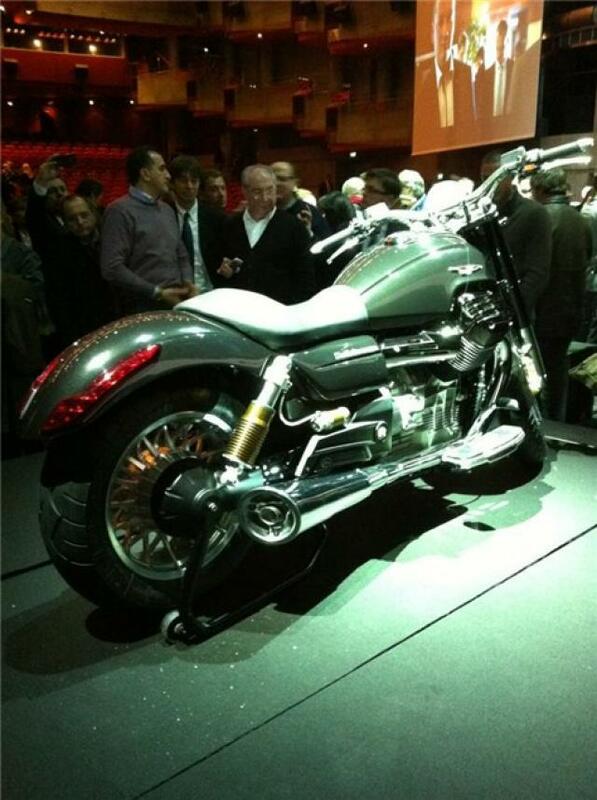 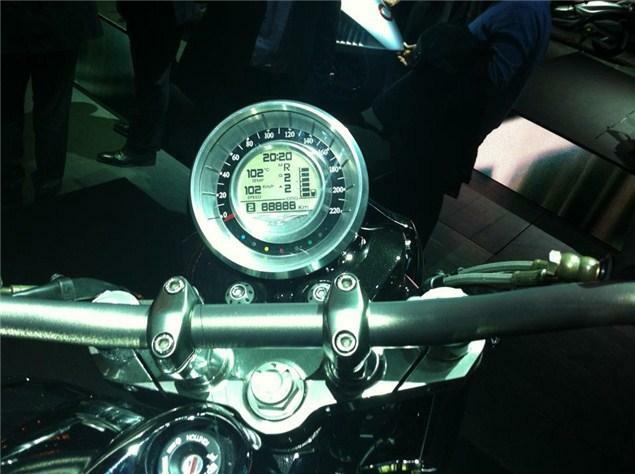 PIAGGIO'S dealer meeting didn’t just reveal the Aprilia Caponord – the Moto Guzzi California 1400 also made a second appearance, having first been shown at the same event last year. Now less prototype and more production-ready, the Cali clearly still uses air-cooling despite suggestions that the bike would go water-cooled. 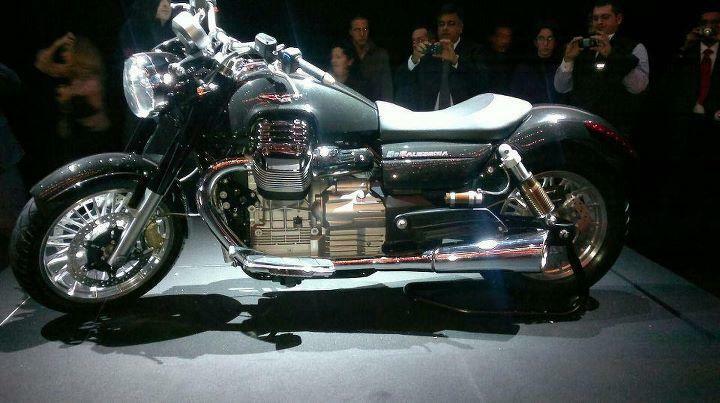 There is a large oil cooler on the front, but no radiator. 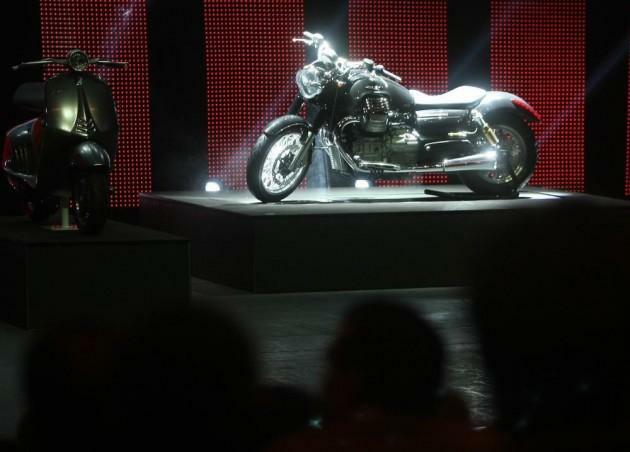 A totally new engine, the 1400cc twin is the first of a family of motors that will power the next generation of Moto Guzzis, and while the California has turned out to be air-cooled, there are rumours that other versions of the motor are water cooled. 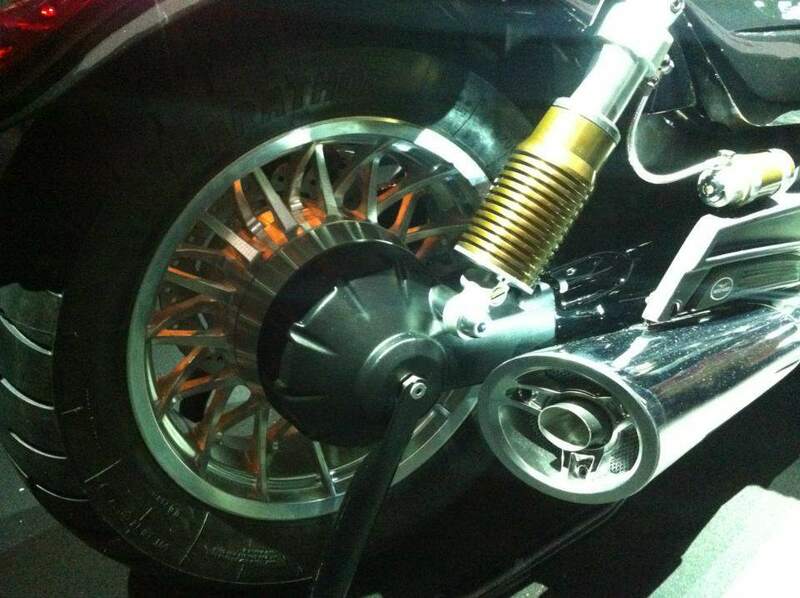 We’re liking the wire-spoke-effect cast alloy wheels and the styling in general appears to be a significant step forward compared to previous Guzzi cruisers, although the target market is clearly America rather than Europe; we’re guessing this will be a traditional-handling (or should that be ‘not handling’) cruiser/custom rather than a Diavel competitor.